Does the other end of this transaction have power beyond amps and ohms? I’ve spoken before of my aversion to e-collars in the presence of birds: there are simply too many things that can go wrong. But recently (as I hope you read), I’ve seen electricity in a different light, so to speak. Once Manny understands that holding a point is an obedience challenge, the usual “enforcers” are all in play: checkcord, verbal, electronic. The key is divorcing a scented bird (and the instinctive pause it incites), from the expectation that he should hold that point once the handler is in the picture. Okay, so I’ve gotten it off my chest. That done, I’ve noticed an interesting side benefit: I don’t really need to use the collar much. The mere sight of the transmitter (big, black, ominous) encourages compliance. Dangling around my neck or clutched in my free hand as birds flutter and fly around him, Manny stands solid as a rock. Even other commands (kennel, heel, etc.) come easier when that long black tube is in the picture. 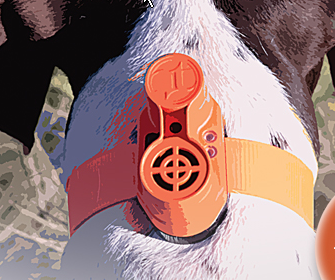 Its pretty cool – until you forget the collar, or you want to enter one of the “Fun Trials” No collars allowed. I had to make my dog “un-collar wise”. As a trainer, I try to look at everything as a training aid, and not have to rely on it. Over the years, its been a bugger if you dog is not completely trained somewhere down the line. So true, Sandra. I’ve yet to put a collar on a dog for a trial or test … are there any groups that allow that? behavior, no need for any stim…. I also keep a few tasty treats for great stuff as we play, stroll and have fun. They love it. There is a flip-side to this, also. My dogs associate the collar with play-time (training, birds, conditioning). When I pick up the collars from the gear bag, they line up to have them put on, and they are pretty vocal if they are left in the box when a team mate gets to play. Make sure that the collar is used and associated with positive/fun sessions (more than correction), and I think you will see good results. I have just started my young lady with an E-collar and YES ,just the sight of the controller in hand has made a big differance with her over all mentallity. I like not having to play the button on her so this is working for meright now!